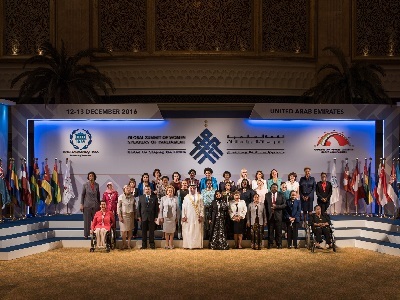 The Global Summit of Women Speakers of Parliament commenced today, under the patronage of Her Highness Sheikha Fatima bint Mubarak, Chairwoman of the General Women’s Union, Supreme President of the Family Development Foundation, and President of the Supreme Council for Motherhood and Childhood. 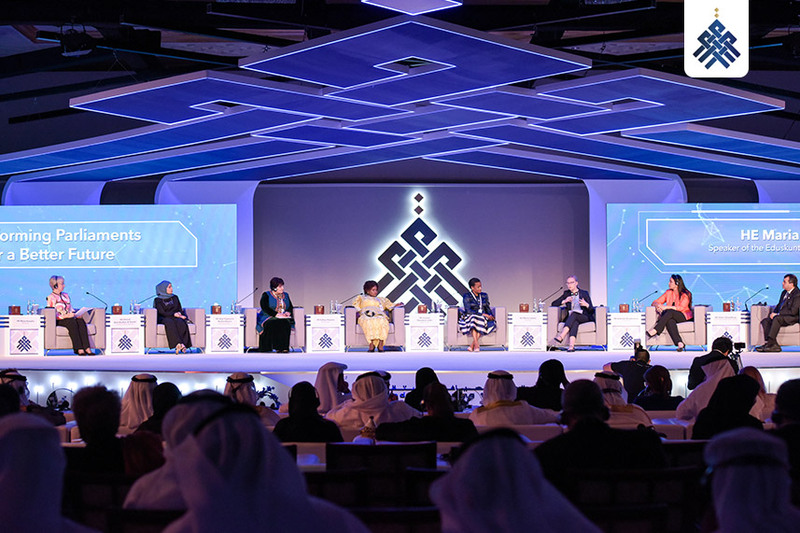 The opening of the summit was attended by His Highness Sheikh Saif bin Zayed Al Nahyan, Deputy Prime Minister and Minister of Interior of the UAE; Her Excellency Dr. Amal Al Qubaisi, President of the Federal National Council; His Excellency Dr. Saber Chowdhury, President of the Inter-Parliamentary Union; Grand Imam Dr. Ahmed Al Tayeb, Sheikh of Al-Azhar, in addition to VIP guests. 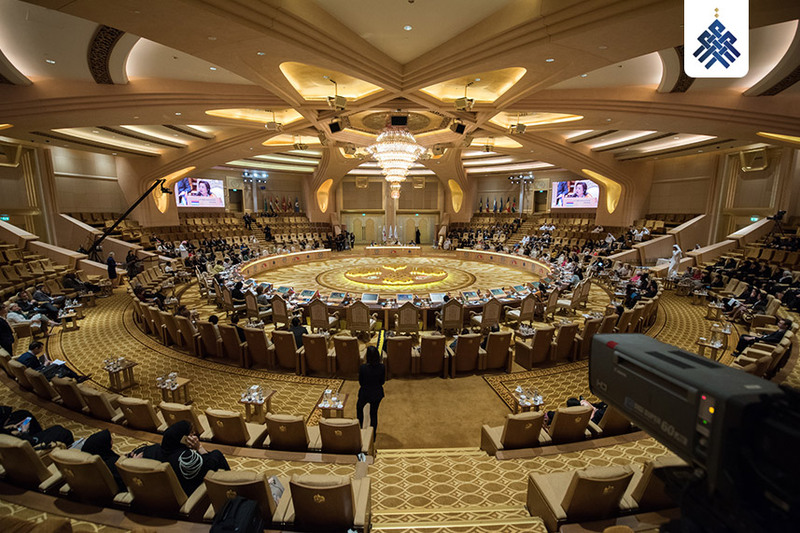 The summit got off to a rousing start in Abu Dhabi’s Emirates Palace today with Her Excellency Dr Al Qubaisi, thanking Her Highness Sheikha Fatima bint Mubarak and welcoming all women speakers and parliamentarians from around the world as well as policy makers, thinkers, and scientists. 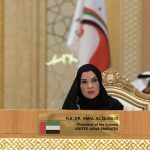 She spoke about the UAE’s early beginnings over 45 years ago and noted that the establishment of the UAE federation comprising seven emirates was a matter of pride. She pointed out that the union of the emirates showed that differences could be a strength if people remained united. Standing shoulder to shoulder and aligning national and global interests can play an important role in facing up to the challenges and seizing opportunities for this generation and the future generations. 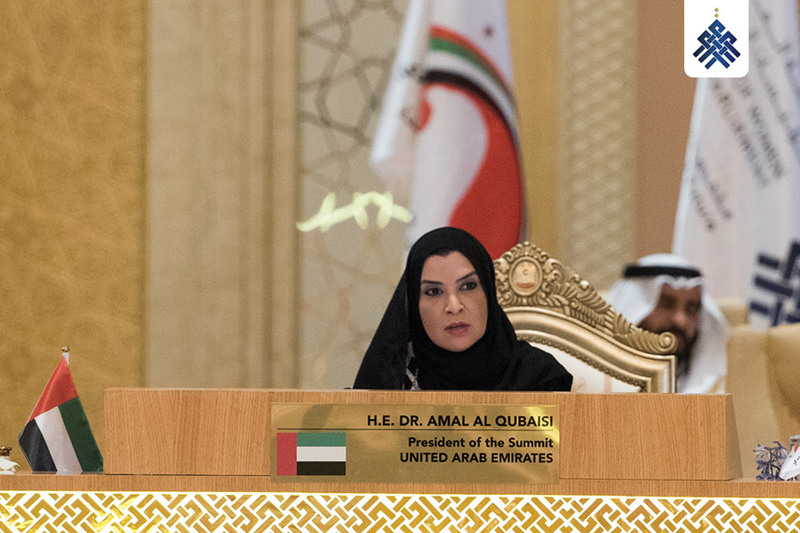 Thanking the Inter-Parliamentary Union (IPU), Her Excellency Dr Al Qubaisi hoped the summit would provide an ideal platform for international dialogue, a dialogue for the future, and be followed by action in the form of the Abu Dhabi Declaration for Shaping the Future. 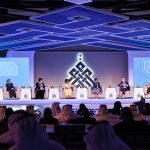 The Grand Imam Dr Ahmed Al Tayeb, Sheikh of Al-Azhar, said that the example of Al Qubaisi—the first Arab woman parliament speaker—is heartening for the region. He hoped that the assembled parliamentarians, speakers and experts would tackle several challenges facing us today, foremost among them being the scourge of terrorism. He noted that its splinters are spreading all over the world today. The second challenge, Al Tayeb believes, are the policies that are fragmenting and destroying stable countries. These countries, he said, were being turned into fields of proxy wars and easy markets to sell weapons. The third challenge he highlighted was the empowerment of women that still needed significant improvement, despite literary tomes, research and papers on the subject in the Arab libraries. To address this important issue, he recommended going back to the original sources of texts, where Muslim women had significant rights and enjoyed financial independence and privileges. 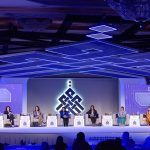 A key challenge facing the region was the focus on traditions and customs adopted by certain sects to marginalize women. He urged governments in the Arab world to exercise caution in their interpretation of tradition and customs. He added that the concept of Western modernity also played a key part in this empowerment by bringing a positive influence via development, science and technology. For his part, His Excellency Dr. Saber Chowdhury, President of the Inter-Parliamentary Union, highlighted the role of women in today’s politics and encouraged more women to be active participants in the governance of their country. He pointed out that 19 women speakers were represented at the Summit in 2005 and 11 years later there are 52. In a video message, Vice President of the European Commission, Her Excellency Federica Mogherini, echoed the words of Dr. Chowdhury and said Her Excellency Dr Al Qubaisi’s story is an inspiring one. The contribution of women to policy and their pragmatism is extremely important to tackle the challenges the world faces. She, however, underlined that there is a need to ‘bring men to our side’, and not wait. 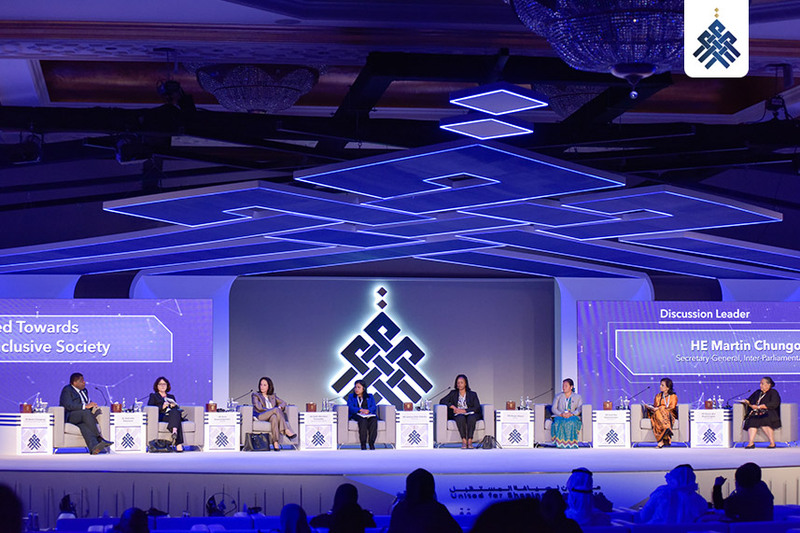 Held under the theme ‘United for shaping the future’, the Global Summit of Women Speakers of Parliament is the first event of its kind in the history of parliamentary collaboration worldwide. It is an unprecedented initiative due to the importance of issues it addresses and the number of participants that include political leaders, government officials, private sector representatives, heads of international organisations, scientists, inventors, and the youth. 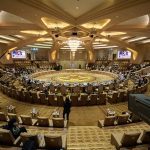 Over eight sessions, the event discusses issues and themes that focus on main geopolitical, social, economic, environmental, and technological trends.